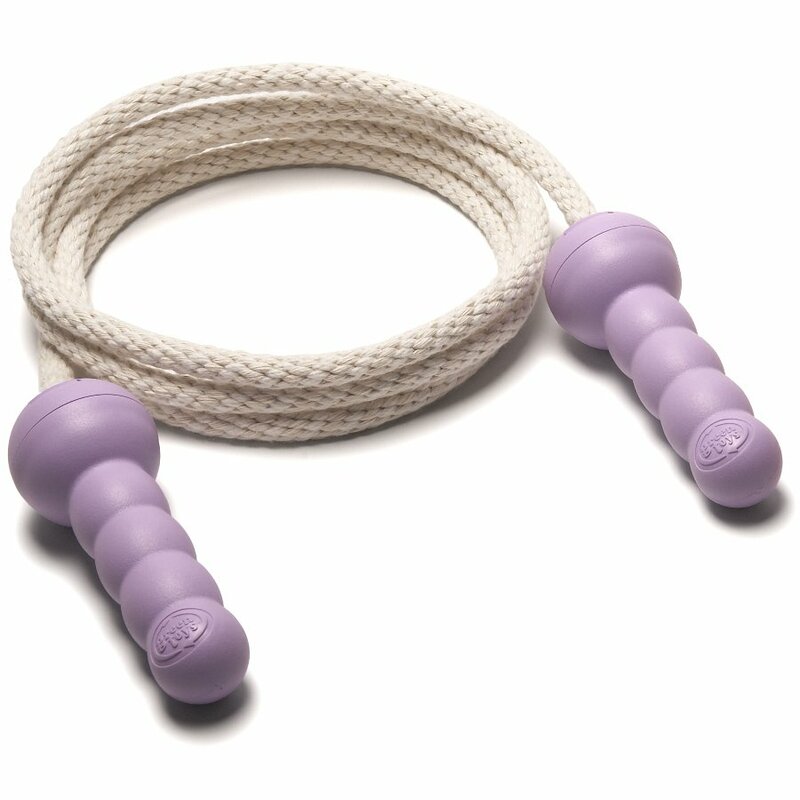 The skipping rope is a timeless toy enjoyed by millions of children, and here is an eco-friendly option with 100% cotton rope and handles made from 100% recycled plastic milk jugs. The rope is 7 feet long and can be adjusted so children can skip comfortably. The Green Toys Recycled Jump Rope product ethics are indicated below. To learn more about these product ethics and to see related products, follow the links below. This is a gift for my neice. I have not given it to her yet. It appears to be well made. There are currently no questions to display about Green Toys Recycled Jump Rope. Green Toys is committed to producing classic toys made from environmentally friendly materials, reducing fossil fuel use and greenhouse gas emissions which helps to improve our planet as a whole. As well as making eco-friendly toys, Green Toys ensures they use environmentally friendly packaging, cutting down the amount it uses as well as making sure to use 100% recycled and recyclable materials, steering clear of plastics and twist ties. Since there is the least possible amount of packaging used, the toys can be easily opened safely, as well as being good to the environment. More importantly, the toys themselves are made from recycled plastics found in the California area where Green Toys is located. The company prides itself on being as kind to the environment as possible, never importing raw materials or toys and using as many local materials as possible to cut down on harmful emissions from mass transportation, making Green Toys the most environmentally friendly toy maker.